Godrej Security Solutions is a leader in home safes category in India with close to 80% market share. Yet penetration of home safes as a category in India is less than 2.5%. 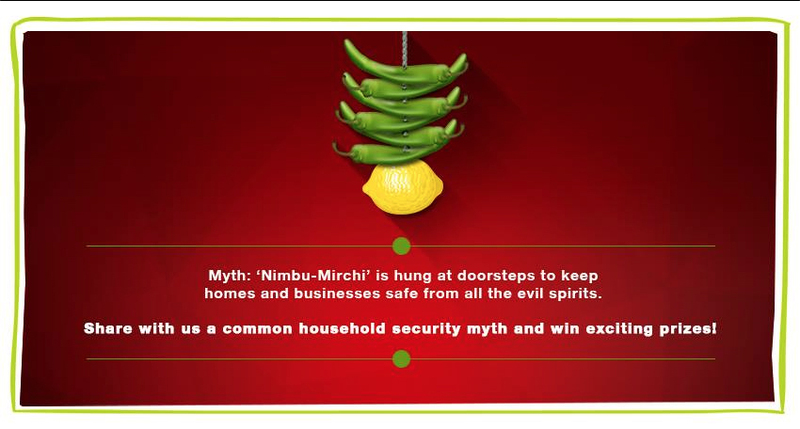 Through a lot of audits and surveys conducted by the brand, what emerged was that most Indians still believe in age old traditional myths like ‘hanging a lemon and 7 chillies’ outside the main door would ward off evil spirits. A part of modern India did not find home safes relevant as they have StoreWells, Bank Lockers, and Chuppa Khanas (Hidden Drawers). Hence, our immediate task at hand was to drive category adoption. 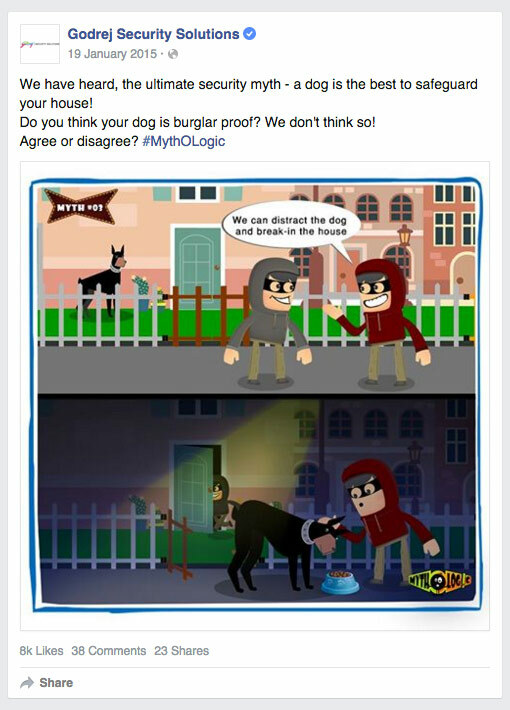 Through this campaign we intended to give the audience an insight of how important home security is and how by believing in age old traditional security myths they are not only jeopardising the security of their valuables but are also at the risk of putting their loved ones in danger. 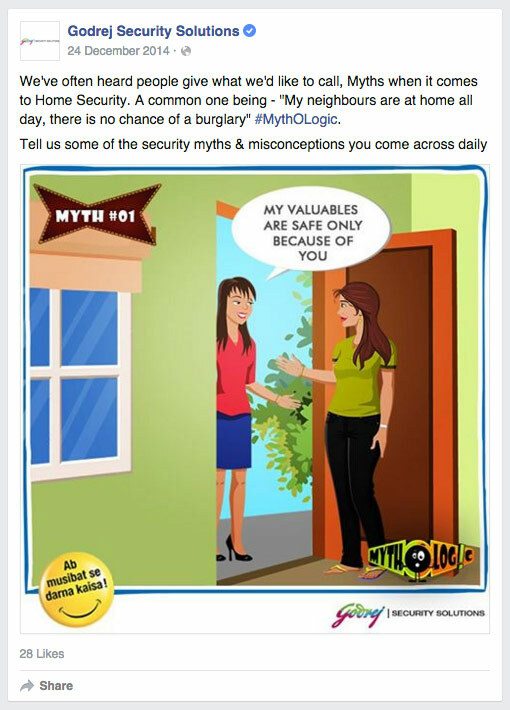 To start with, an extensive research into our target group led us to believe that there were a lot of misconceptions and myths floating around home security. 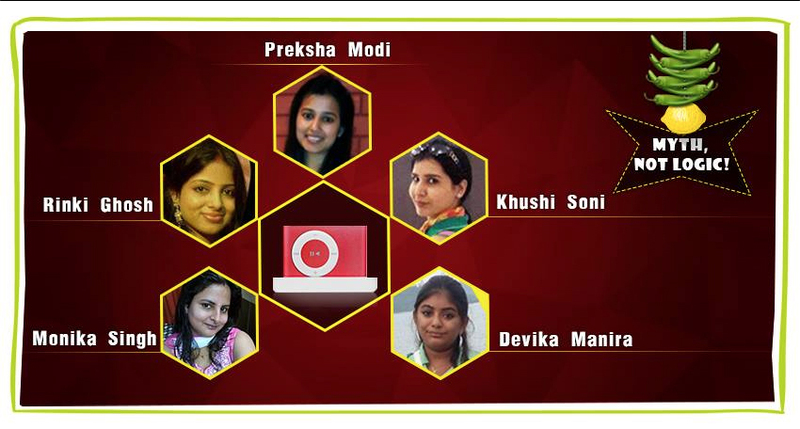 We started by creating awareness around the category and products. 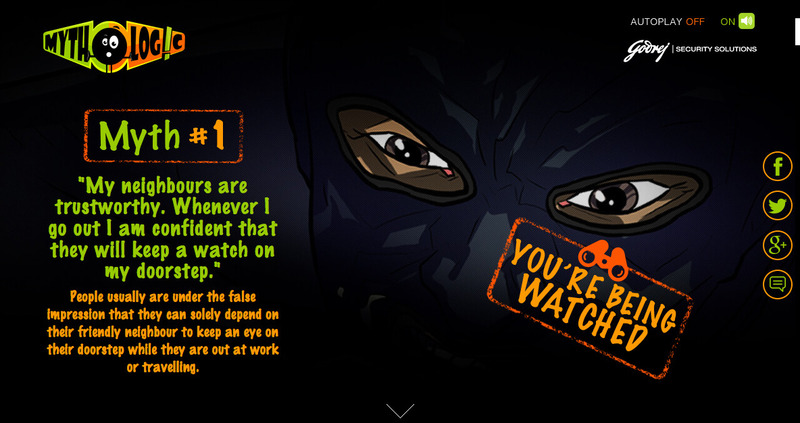 Instead of using fear to cut across through the target, we added a subtle dose of humor to our conversations, thereby educating the user in a fun yet interactive way. Light hearted illustrations were made to educate consumers. 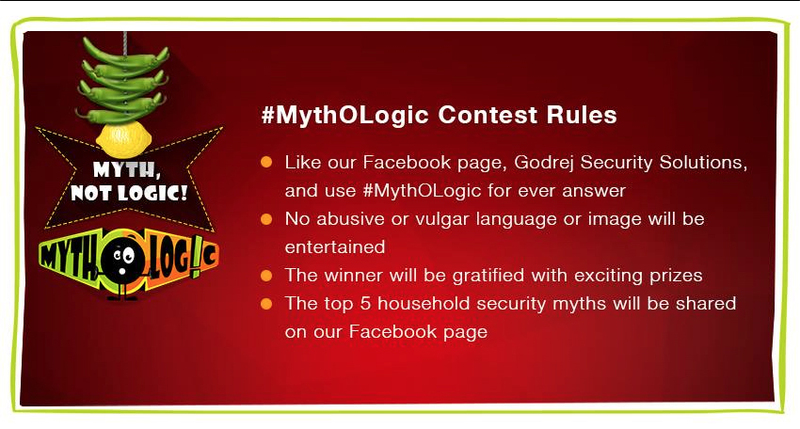 We articulated the campaign message though the mnemonic ‘Myth-O-Logic’ i.e. 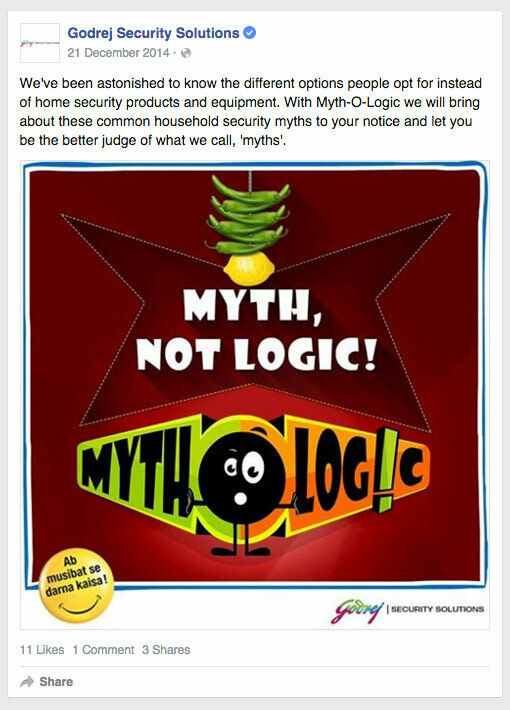 busting of household security myths by giving a logical conclusion to it. 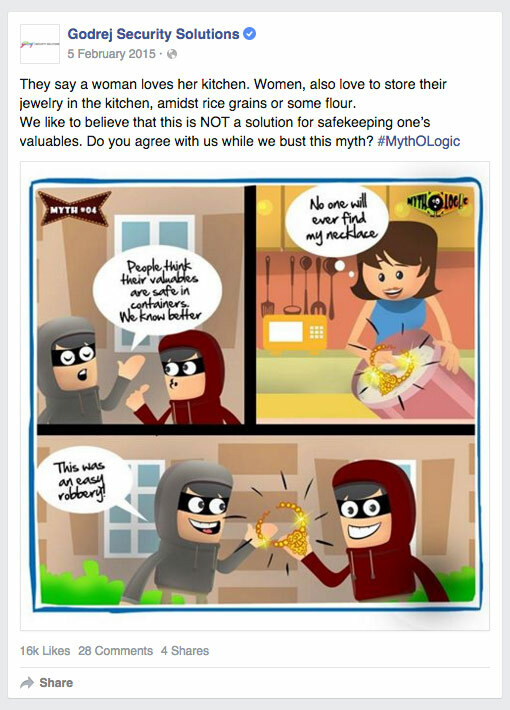 The campaign started with a series of Facebook posts that were based on five common household tips of security of valuables. This eventually led to a contest. 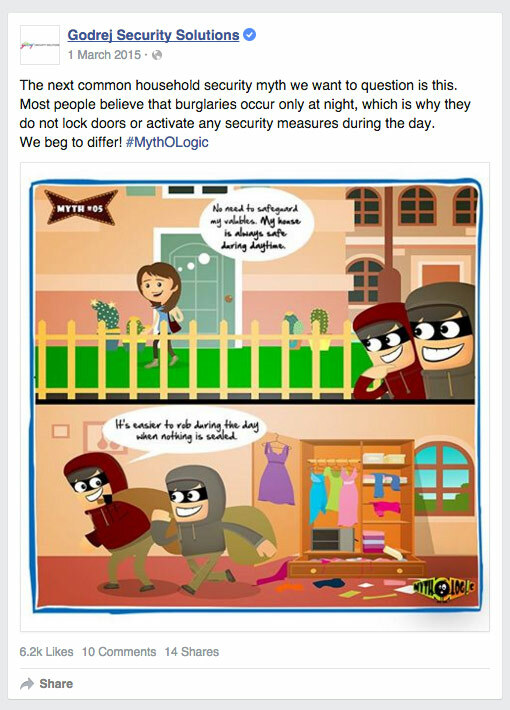 The contest was executed on Twitter and Facebook over a span of 3 days using hashtag #MythOLogic and with an objective to break the stereotype of hiding valuables and relying on mediums besides a safety system to secure one’s valuables. The next 3 months generated a lot of engagement and curiosity and changed perception of home security in the minds of people. A lot of chatter and participation was observed and many more age old myths started cropping up. 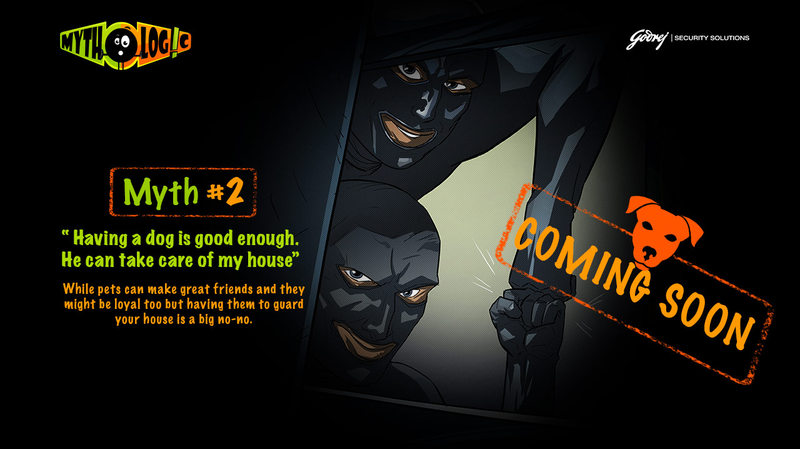 A tie up with renowned illustrator Saumin Patel gave life to the best and the most common myths in the form of Motion Comics. 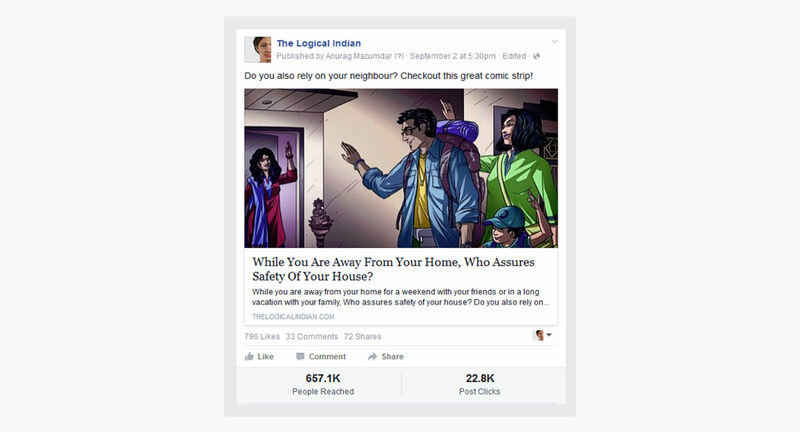 The motion comic was further published on other social media platforms like ‘The Logical Indian’ and earned appreciation from a lot of bloggers too. Overall, objectives were achieved and product sales increased.